The cart has non marking rubber on all four edges, 4" poly wheels w/ ball bearings and a sturdy steel frame. 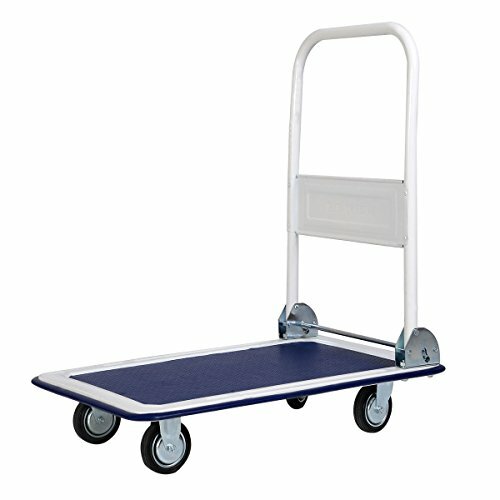 At 19lbs and 6" off the ground, the platform cart is easy to move around and the handle folds down for easy storage. Step on the silver bar to unlock and fold the handle. If you have any questions about this product by One Happy Shop, contact us by completing and submitting the form below. If you are looking for a specif part number, please include it with your message.